It’s been officially summer for over a week and a half, so that meant that it was past time to break out the ice cream maker and make some homemade treats. Getting the ice cream maker off the shelf was easy, but deciding what kind of ice cream to make was a bit more difficult. Inspiration came from a food magazine that E had in her apartment during a recent visit. It was a recipe for eggless Rocky Road ice cream – chocolate + pecans + marshmallows = one of my favorite flavor combinations (plus, who doesn’t love mini marshmallows?). Plus, an eggless base meant a lower risk of food borne illness and a smaller margin of error (egg custards are intimidating!). And with ONLY six ingredients, this ice cream is definitely the way to go for an easy homemade ice cream! It starts with combining sweetened condensed milk and unsweetened cocoa in a small sauce pan. Heat the mixture over low heat while whisking constantly (hello, arm workout for the month! ), for about 5 minutes until the cocoa completely dissolves and the mixture becomes slightly thick. 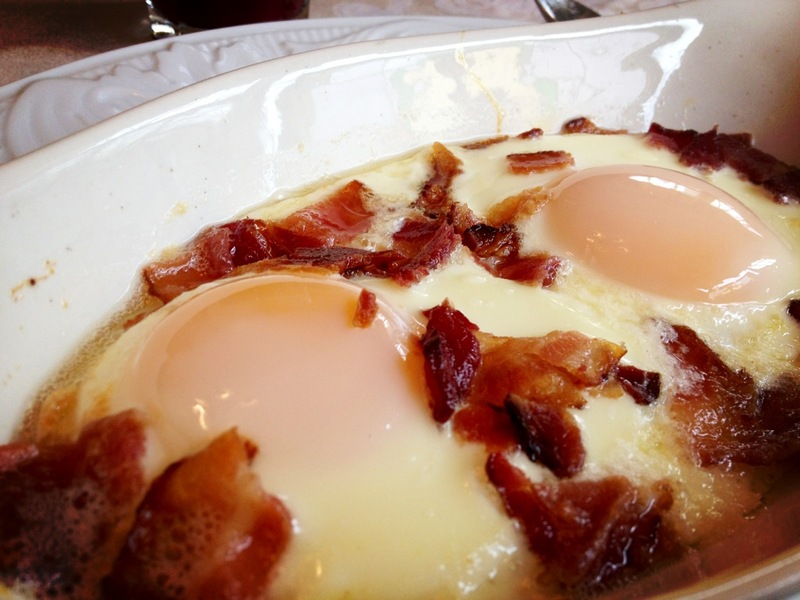 These ingredients provide the thick “custard” structure without having to use eggs. I transferred the chocolate mixture to a bowl and let it cool slightly while I whipped up the milk part of the ice cream base. It’s just some half-and-half with a good amount of vanilla extract. The original recipe calls for heavy and light creams, so swapping them out for half-and-half slightly lightens up the ice cream… life’s about balance! While slowly whisking, pour the milk mixture into the chocolate base. 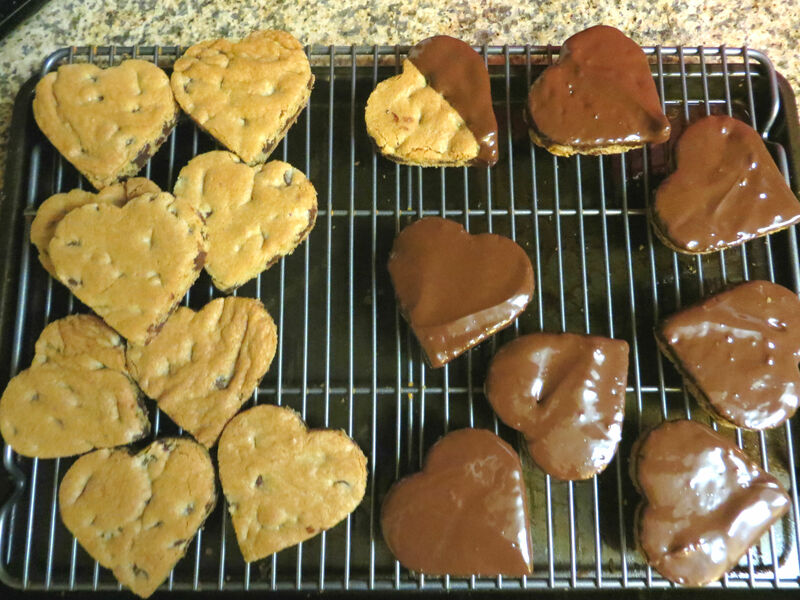 If some of the chocolate doesn’t mix in, that’s ok (little chocolate chunks are never a bad thing!). After everything was combined, I popped the ice cream base into the fridge to chill for 15-30 minutes. And tossed in a mixture of mini marshmallows and chopped pecans when the ice cream was ¾ finished churning. When the ice cream was finished, I transferred it into quart containers and popped them into the freezer to set up. Then all that’s left is to dig in! I adorned mine with some additional pecans and mini marshmallows. A drizzle of chocolate sauce would also be delightful! What a great start to a (hopefully) ice cream-filled summer!! So, kiddos, what’s your favorite ice cream flavor? Prepare your ice cream maker per the manufacturer’s directions – my machine has a core that needs to be in the freezer for at least 24 hours before use. In a small sauce pan, combine cocoa powder and sweetened condensed milk. 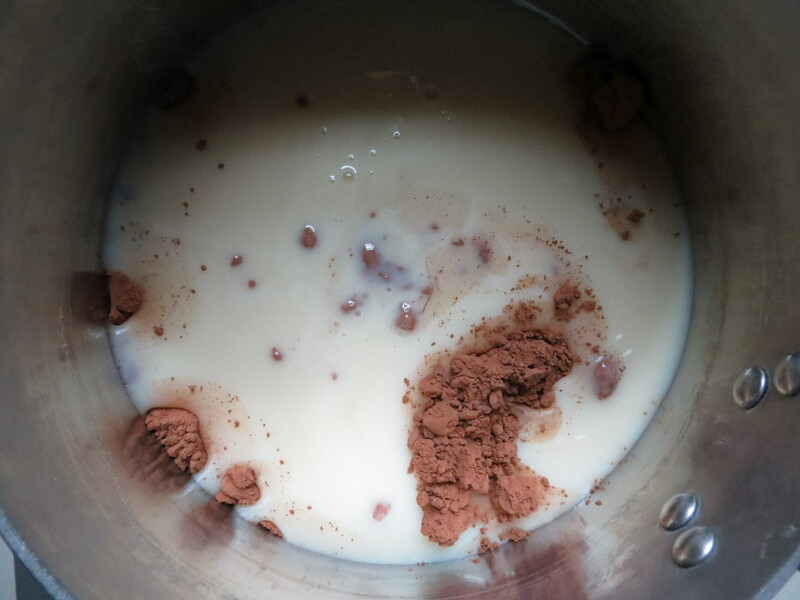 Cook over low heat, whisking constantly – make sure to get into the edges so all the cocoa can dissolve – for 5 minutes, until the mixture becomes slightly thickened. 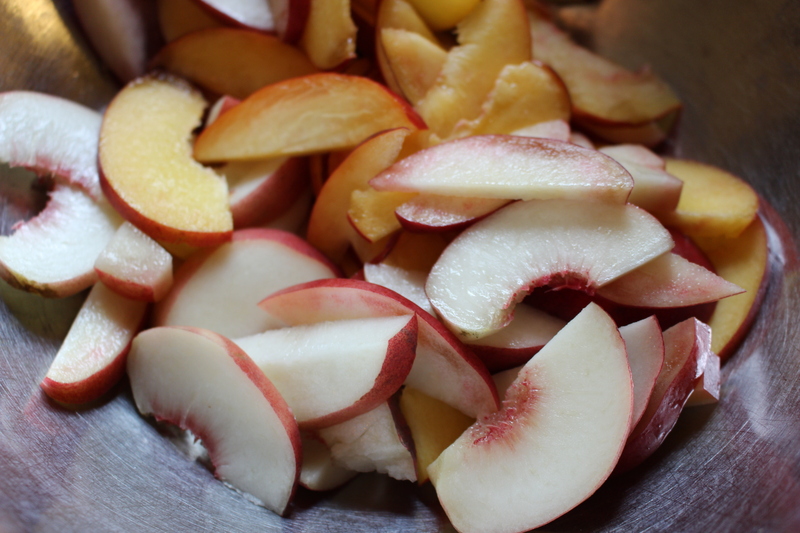 Remove from the heat and pour into a large bowl. Set aside. Combine half-and-half with vanilla extract. Slowly add in the milk mixture to the chocolate mixture, whisking to combine. If the chocolate doesn’t totally dissolve, don’t worry – a few chocolate chunks won’t hurt anyone! Freeze the ice cream per the manufacturer’s instructions – add in the mini marshmallows and chopped pecans ¾ of the way through the freezing process. Spoon the finished ice cream into quart containers and pop into the freezer until they freeze completely – at least 2 hours, but overnight doesn’t hurt! Serve the ice cream by itself, or if you want to get fancy, drizzle with chocolate sauce and sprinkle with some more marshmallows and chopped pecans. Recipe lightly adapted from All Recipes Magazine, June 2015. I hope everyone had a fabulous weekend celebrating with your mothers and family! My weekend was wonderful because E drove home to spend the holiday with us, so the whole family was together… it was a real treat to see her and to actually having a work-free, relaxing weekend as a family. 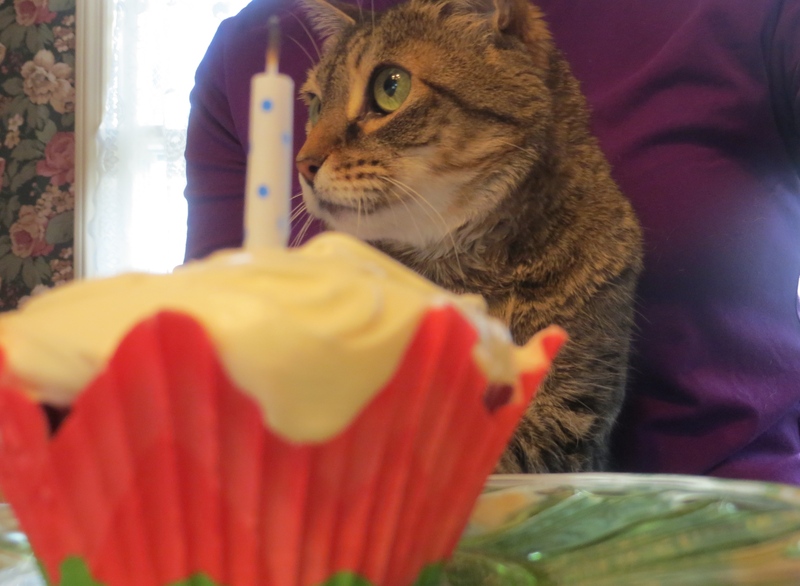 Having E home was not the only treat we enjoyed this weekend – I (along with my mom) whipped up a dessert that looked impressive but was super easy to make! 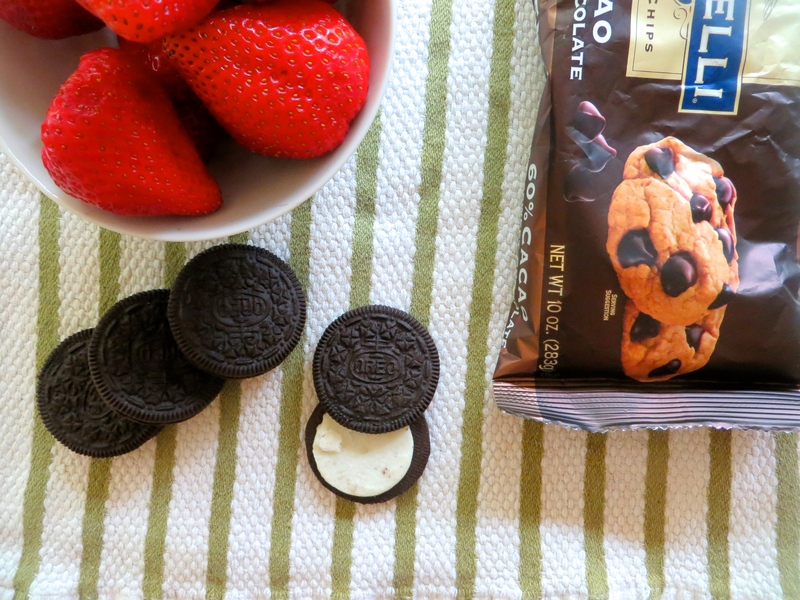 This dessert combines three of my favorite things – strawberries, chocolate, and Oreo cookies. These three humble ingredients come together to create a Chocolate Ganache Tart with Strawberries. And it all starts with tossing some Oreo cookies into a food processor. And pulsing until they turn into crumbs. Then add some butter and pulse some more. Until the mixture looks like black, wet sand. Pour the cookie crumbs into a 13¾”x4¼”x1” rectangular tart pan. And press with your fingers to form an even layer on the bottom of the pan and up the sides. Pop the crust into the freezer to chill while you make the filling. And the filling is just a simple chocolate ganache. Heat 7oz of heavy cream (just shy of one cup) on the stove until it becomes hot, but does not simmer or boil. …tada! 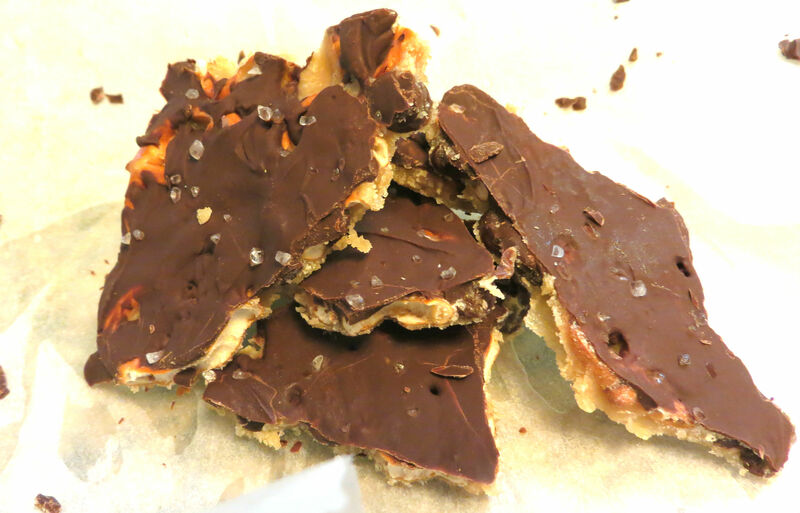 You just made chocolate ganache. 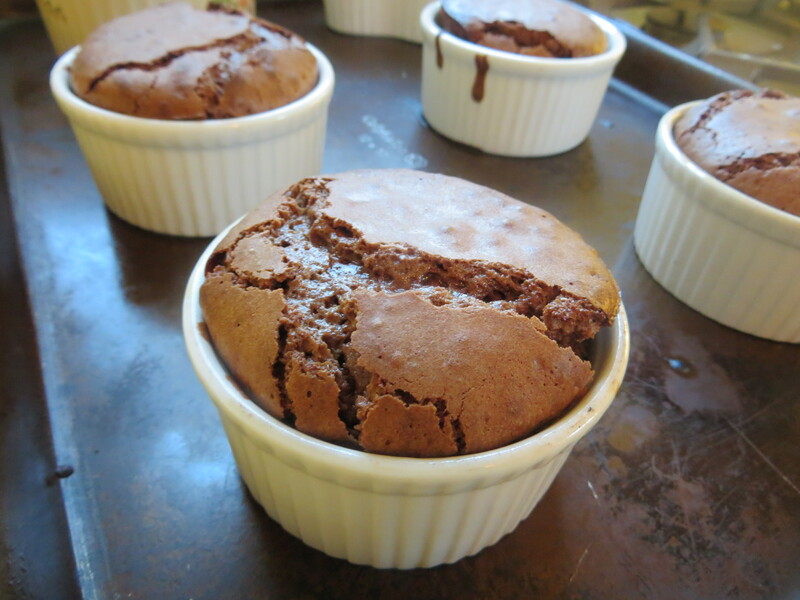 Perfect to dip strawberries in, top cakes with, or use as a filling for Chocolate Ganache Tart. Pour into the chilled Oreo crust. And place some fresh, ripe strawberries in a zig-zag pattern. 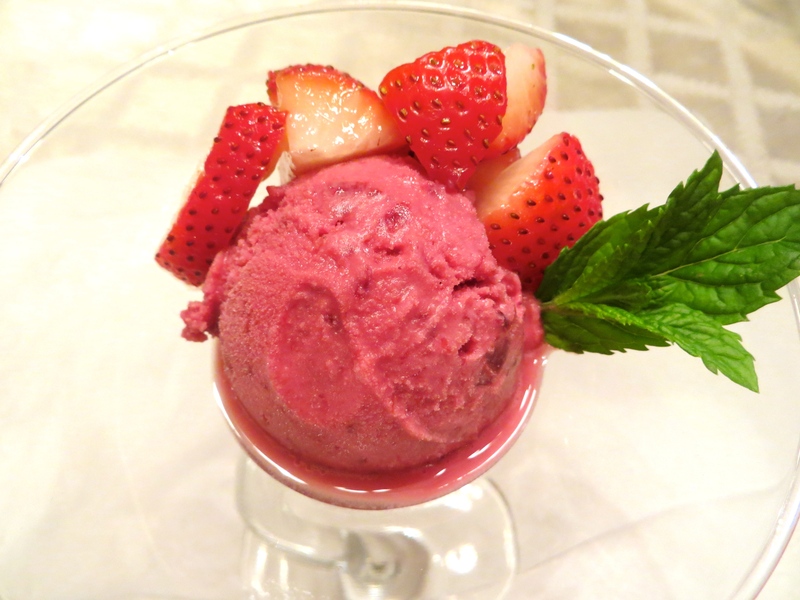 We used whole, hulled strawberries and they were a little too big – I recommend using smaller hulled strawberries for a better balance of chocolate and fruit. All that’s left is to chill for at least 2-3 hours, but overnight is best – it allows everything to settle and firm up. To serve, unmold the tart from the pan. And cut into wedges. If you want to serve this on a dessert buffet, you can cut it width-wise and have a bunch of small rectangle servings. The options are endless! E plated the dessert, serving it with a dollop of lightly sweetened cream. The perfect complement to a rich dessert. It was a great finish to a beautiful day. I hope you enjoy, kiddos! Place the Oreo cookies in the bowl of a food processor and pulse until they are finely crushed. Pour the melted butter into the cookie crumbs and pulse until the mixture becomes evenly moistened. 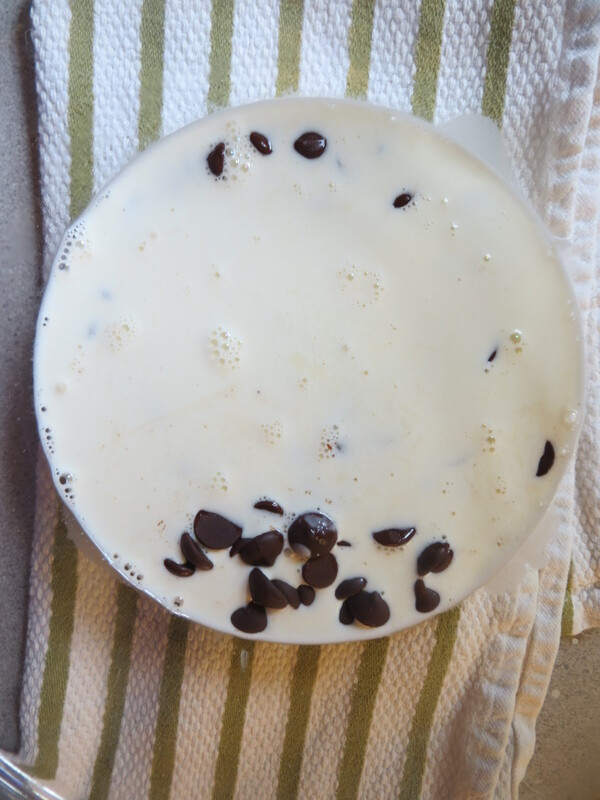 Pour the cookie crumb mixture into a 13¾”x4¼”x1” rectangular tart pan (with a removable bottom) and press the mixture with your fingers into the bottom and sides of the pan to form an even layer. Pop the crust into the freezer to chill while you make the filling. In a small saucepan, heat the heavy cream over medium-low heat until it becomes hot – be sure not to boil or simmer the cream! In a medium-sized bowl, place the chopped chocolate and pour the hot cream over it. Let the mixture stand for 1-2 minutes, then stir to combine until the chocolate is melted. Remove the crust from the freezer and pour the chocolate filling into the crust. Top with the strawberries in a zigzag pattern. Pop the whole tart into the fridge for 2-3 hours or overnight! To serve, cut into wedges and add a dollop of lightly sweetened whipped cream. Happy Thursday, everyone! How’s your week been going? Today is Holy Thursday, which means that we are three-quarters through Orthodox Holy Week – I cannot believe how quickly time has passed! It has been a whirlwind of clinical rotations, paper writing, and watching my mom whip up spectacular vegan dinners and one amazing vegan dessert that satisfies my late-night-paper-writing sweet tooth. With three days left until Easter, I’m sharing my parent’s adaptation on my Thea Goldie’s moustokouloura. Thea Goldie was my godmother’s mother – I met her briefly when I was little so I don’t have any concrete memories of her. According to my mother, Thea Goldie was a feisty woman who could cook and bake like no body else… this cookie recipe is a testament to those baking skills. It starts out with combining sugar and vegetable oil in the bowl of your stand mixer. WINE! Yes, ladies and gentlemen, wine. Mousto is the leftover residue of the grapes after they are crushed to make wine – since we don’t have any leftover grape bits, wine is a great (and easy) substitute. Crack open a bottle of your favorite red wine and pour some into the mixer (and maybe pour some for yourself!). We use a basic pinot noir but a merlot will work too! Just a word of warning – wine makes the color of the cookies… interesting. I’ll talk more about it in a minute, but if you are expecting totally brown cookies, you’re in for a surprise. All that’s left is to combine the dry ingredients – flour, oat bran, baking powder, baking soda, cinnamon, and nutmeg. And gently mix them into the wet ingredients. Toss in some walnuts for crunch, mix, and you’re ready to go! Form into two logs. Score the logs by making several shallow cuts ½-inch apart in the top of each log – this will help with ease of cutting later. Chill them for an hour and then stick them in the oven and bake for about 30 minutes until the tops of the cookies are set. Yummy! 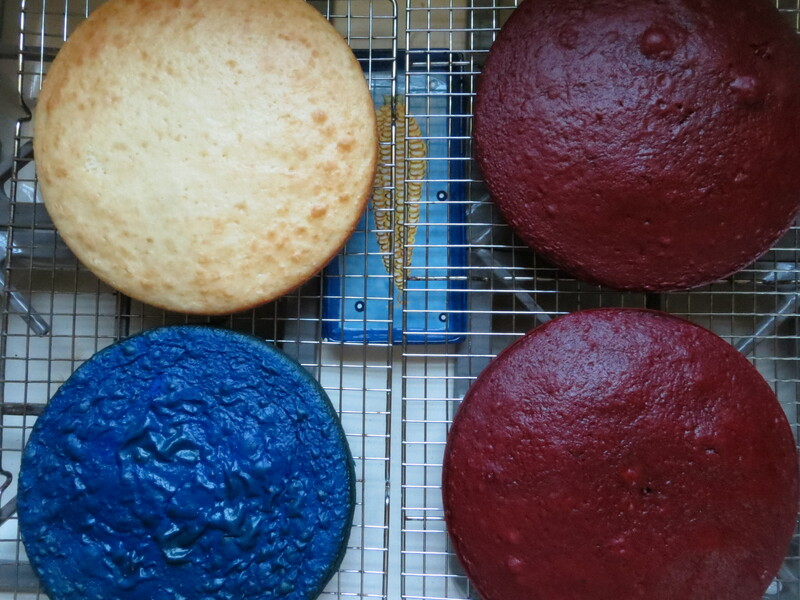 Let them cool completely before proceeding. As you can see in this photo, the wine turns the cookies blue-green! They are perfectly fine to eat – they just look a little different! Then cut the logs into pieces (like biscotti!) and lay them on a baking sheet flat-side down. Bake the cookies again for 12 minutes, flipping the cookies over halfway through the baking process. All that’s left is to dig in! Enjoy these Lenten, vegan treats, everyone! 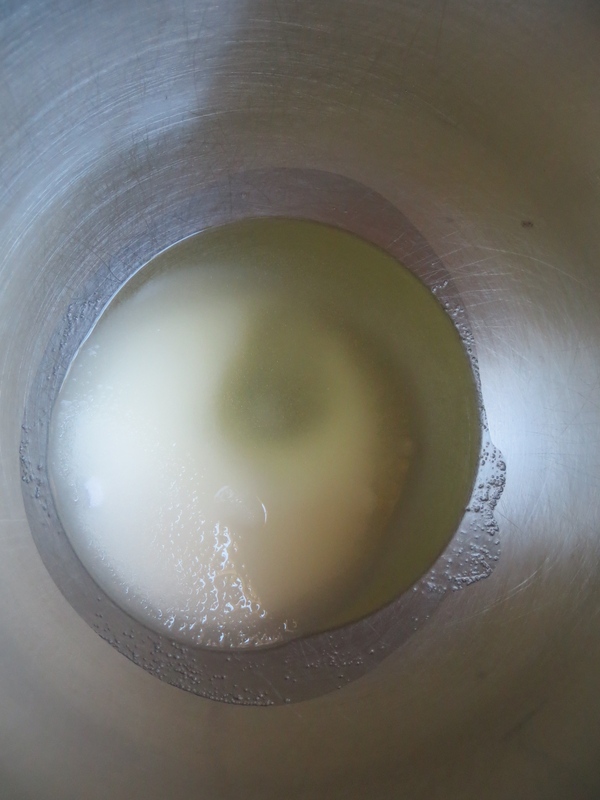 In the bowl of the stand mixer, combine oil and sugar and mix to combine. In a medium-sized bowl, combine the flour, oat bran, baking powder, baking soda, cinnamon, and nutmeg. With the mixer on low, slowly add in the dry ingredients to the wet ingredients. Stir in the chopped walnuts. Form the dough into two equal logs, score the top of the logs ½-inch apart and chill in the fridge for an hour. Bake the logs in a preheated, 350° for 30 minutes. Let the logs cool completely. Using a serrated knife, cut the logs into pieces on the score marks. Lay the cookies flat-side down and bake in a 350° oven for 12 minutes, flipping the cookies over halfway through. Serve with your morning coffee or as a midnight snack – enjoy! Happy Snow Day, everyone! I hope that everyone is safe and warm at home, curled up with some TV, a good book, or a big cup of hot chocolate. This snow day reminds me of grad school, where waking up to thick blankets of snow was a common occurrence. And nothing makes me want to bake more than a quiet, sunny, snow-filled morning. But the question is, what kind of baked good to make? After a lot of pondering, I settled on a twist on the classic oatmeal raisin cookie – oatmeal craisin cookies! They are a quick cookie to pull together and cannot be more comforting on a chilly day like today. It all starts with the dry ingredients. 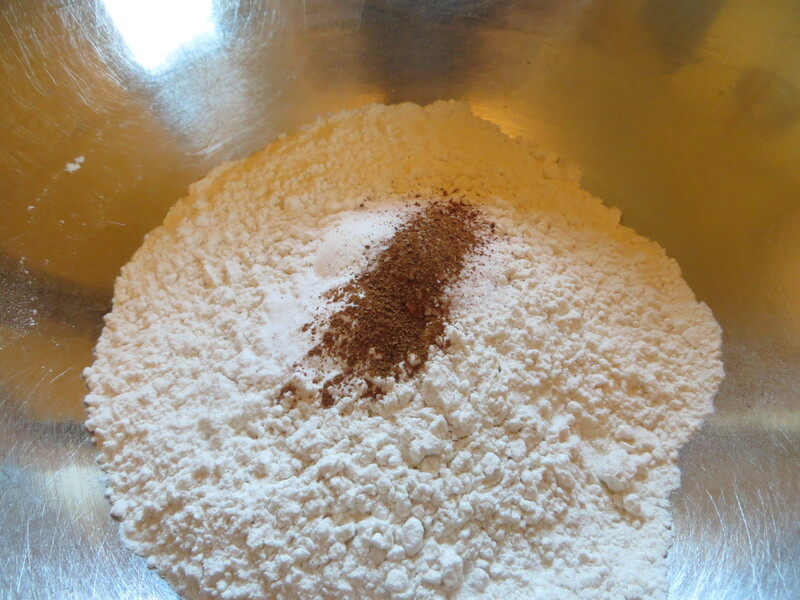 Flour, baking powder, baking soda, salt, cinnamon, and nutmeg. Simple, standard cookie dough basics. The wet ingredients are simple as well. Sugar, brown sugar, and a butter/margarine combo. In the bowl of a stand mixer, cream together a stick of butter, a stick of margarine, granulated sugar, and brown sugar until light and fluffy. Then add in two eggs, one at a time, and some vanilla extract. When the wet ingredients are all combined, slowly add in the dry ingredients… a promptly forget to take a picture of the past three steps. What makes these oatmeal cookies awesome are the three mix-ins. For the first, I stray from traditional oatmeal raisin cookies by adding a little crunch in the form of pecans. Lovely! Pecans play so well with craisins, so they were a natural addition to this recipe. I chopped them up nice and fine. … and then portion out heaping tablespoon of the cookie dough, roll them into a ball, and place them on parchment-lined cookie sheets. Bake the cookies for 11-12 minutes until the cookies become slightly golden around the edge. All you need is a glass of milk (or a cup of joe), a blanket, and a comfy seat – snow day relaxation at its finest. Enjoy and stay safe, kiddos. 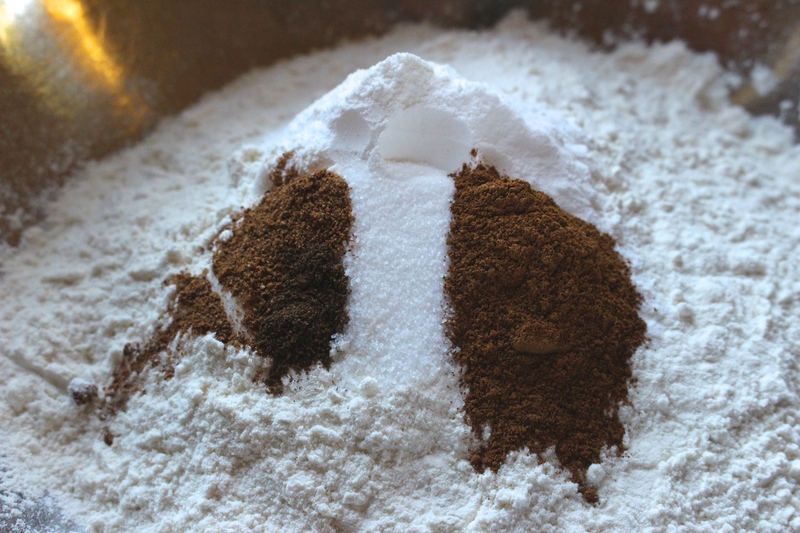 In a medium-sized bowl, combine flour, baking soda, baking powder, salt, cinnamon, and nutmeg – mix thoroughly to combine. Set aside. In the bowl of a stand mixer, cream together butter, margarine, sugar, and brown sugar until mixture becomes light and fluffy. 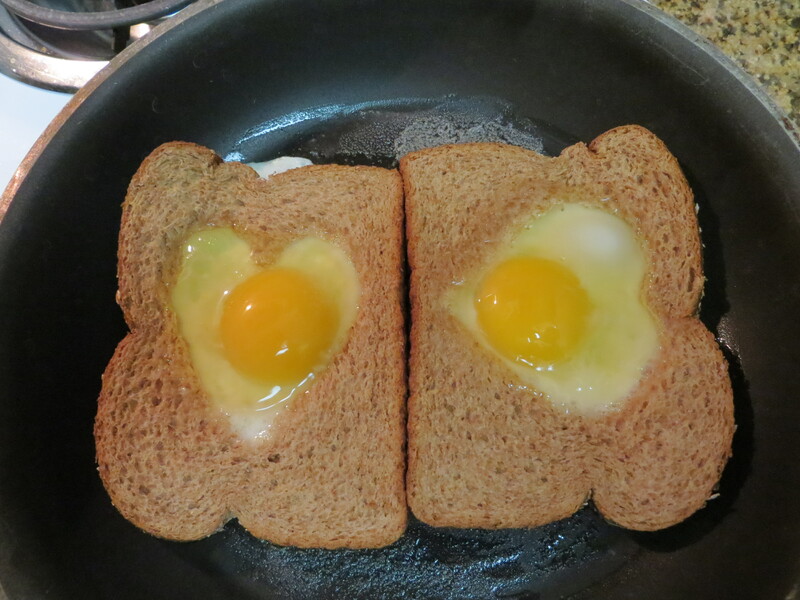 Add in eggs, one at a time, until incorporated. Add in vanilla extract and mix to combine thoroughly. Scrape down the bowl of the mixer. With the mixer on the lowest speed, gradually add in the dry ingredients and mix until just combine. Add in the oats, craisins, and pecans and mix until just combined. Portion out heaping tablespoons of dough, roll into a ball, and place on parchment-lined baking sheets. Place cookie sheets in oven and bake for 11-12 minutes until the edges of the cookies become slightly golden brown. Transfer cookies to a wire rack to cool completely! This recipe was slightly adapted from the Oatmeal Raisin Cookie recipe on food.com.